Right now millions of children are emotionally reactive without any ideas or tools how to handle their intensity. The Emotionally Healthy Child is written for the adults in these children’s lives, and helps guide them on the how of children’s positive emotional health. Oftentimes we know what we want – whether it’s a bigger home or happier children, but the how is where we get stuck. Maureen offers keen insight into how to raise emotionally healthy children from sharing the ideas, strategies and mindset of emotional health so that your children can become emotionally responsive versus solely reactive. One theme throughout this book is helping children learn how to make smarter choices, which are good for them and good for others even when emotionally challenged. Within the pages of this book, adults learn techniques to role model and also learn with their children in making those smart choices regardless of what they’re feeling and its intensity. 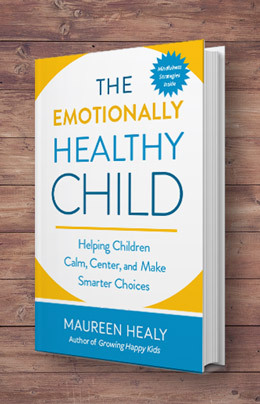 Maureen Healy is an award-winning author, educator and leader in the field of children’s emotional health. Her first book, Growing Happy Kids, won the Nautilus and Reader’s Favorite Book Awards in 2014. She also writes a popular blog for Psychology Today, which has reached millions of parents and teachers worldwide. 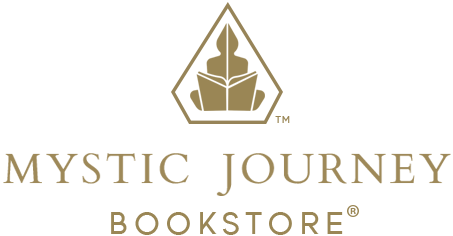 Tal Ben-Shahar, former Harvard University lecturer said, “Read this book, and read it again, and more importantly apply it” regarding Maureen’s new book, The Emotionally Healthy Child. Unique about Maureen is her in-depth training in child development, and the how of happiness, which has combined to provide her a unique perspective. Maureen understands children from the inside out and is uniquely skilled at guiding them — and the adults who care for them — on the how of becoming emotionally healthy and ultimately, happier. Based in Santa Barbara, California, Maureen continues to teach and see clients directly, while also traveling to speaking engagements worldwide. Along with 15+ years of experience, Maureen grounds her insight with traditional credentials including a BA and MBA from Clark University in Worcester, Massachusetts along with completing her PhD coursework in Child Clinical Psychology from Fielding Graduate University in Santa Barbara. As an avid learner and teacher, Maureen seeks to grow from every person she meets and experience she has. “Life is never boring,” she says.